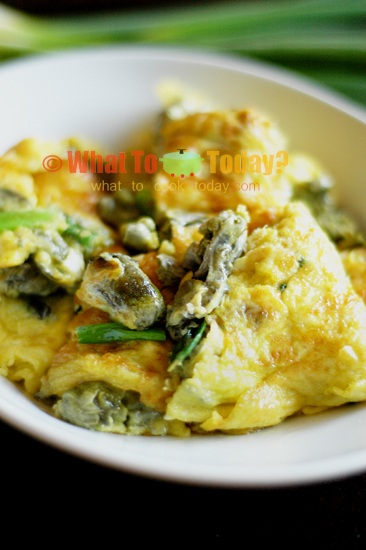 Easy Oyster Omelette – Learn how to make an easy and quick one-pan Asian style oyster omelette. Perfect for your busy weeknight dinner. Best made with fresh oyster! Oyster omelette is popular street food in Asia. We call it “oh jien” in Hokkien language. The fresh oyster is usually cooked with beaten eggs, like how you would normally make an omelette. Now, I”ve made two different kinds of oyster omelettes. This is the “easy” version because it’s really easy and uses less ingredients. Very appropriate if you are looking for quick, easy and yummy omelette recipe. I’ve also made this Hawker Fried Oyster Omelettes most oyster omelettes call for a thin batter in the recipe, but not this one. It is still really good and don’t forget that it’s EASY! 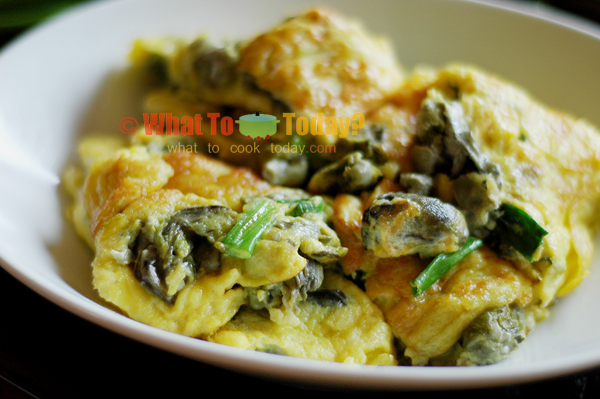 Easy Oyster Omelette - Learn how to make an easy and quick one-pan Asian style oyster omelette. Perfect for your busy weeknight dinner. Best made with fresh oyster!